Fast drying acryllic lacquer with a lasting gloss to treat surfaces, treated and untreated, of wood, metal, aluminium, glass, stone and various types of plastic. The clear varnish is rust preventive and has an excellent adhesion. 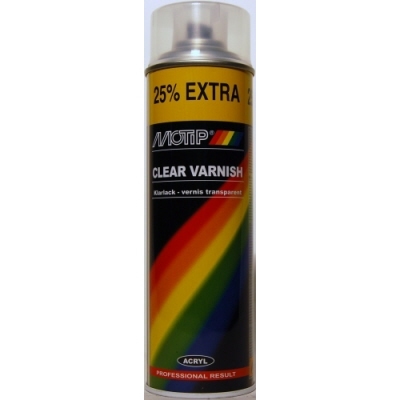 The clear varnish is scratch free and shock proof and is resistant to petrol, chemicals and weather influences.